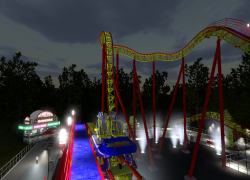 The Atomizer was Intamin's attempt at a small scale fairground coaster. 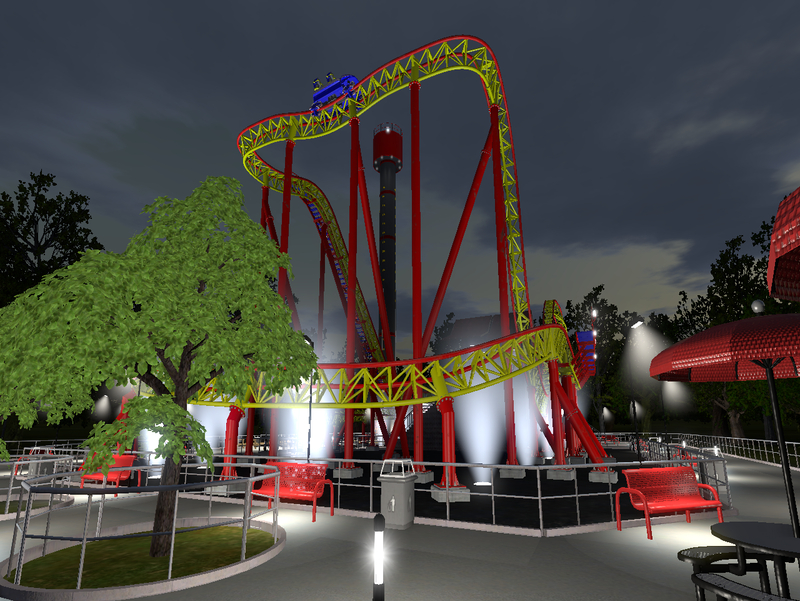 They constructed a small plaza for the ride in a field, complete with food trucks, picnic tables, and a drop tower. 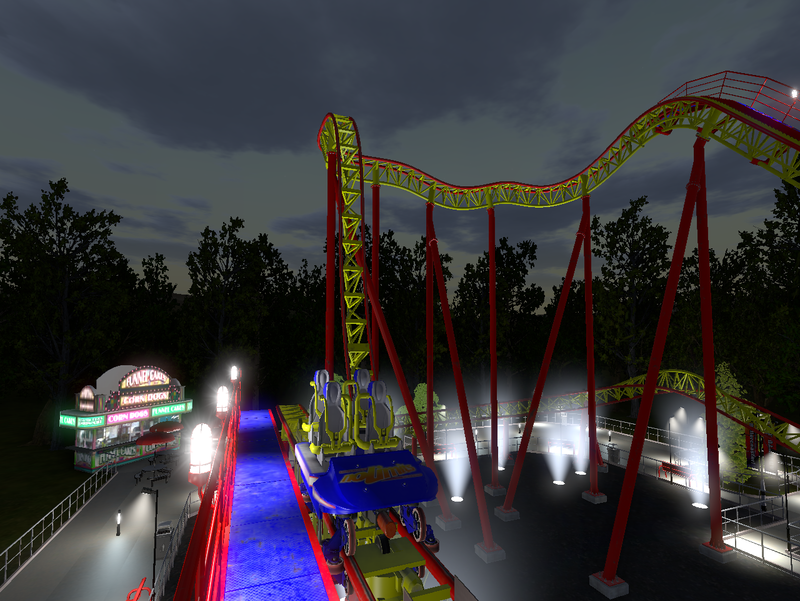 The built the coaster in the center of the plaza, and dubbed it The Atomizer. 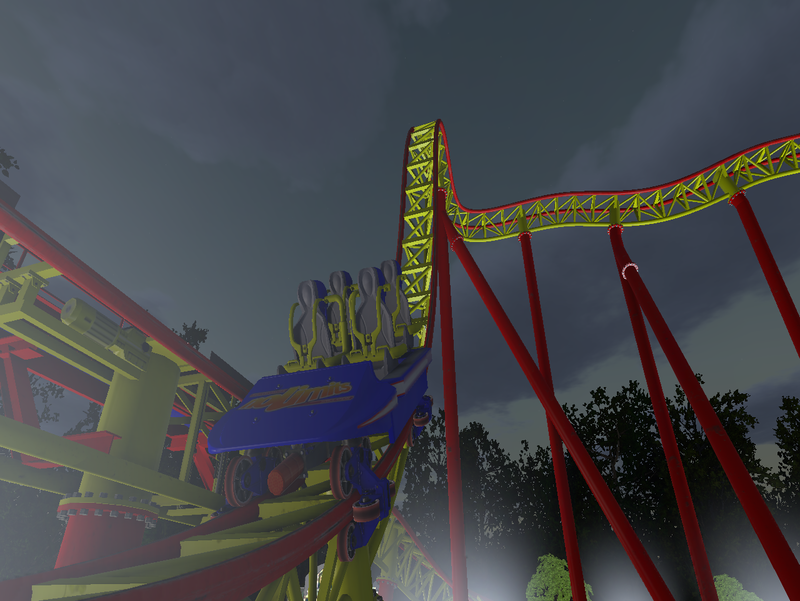 The ride sits only 55 feet tall, and has but one inversion. 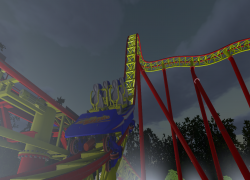 Intamin found out how to make the coaster intense and fun, even with its small footprint. 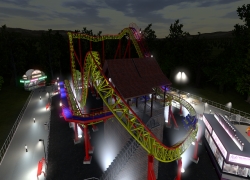 With only a 100 by 25 foot area to work with, they managed to make a ride that would appeal to coaster enthusiasts and casual fairground attendees alike. The ride was a success at the official test launch in 2017, and are currently waiting for an offer to have one of these rides built. 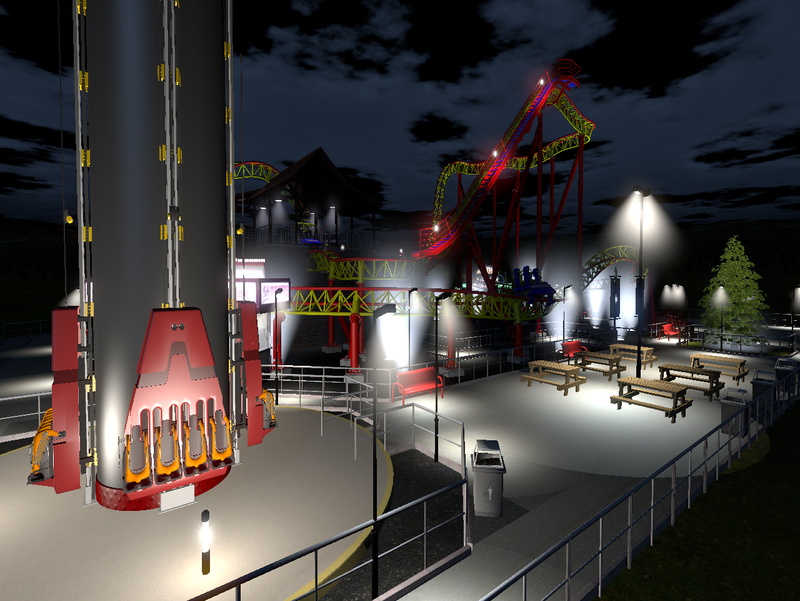 So if you are still looking for your park's 2018 investment, please come down to our test site and check out The Atomizer!